In a full statement, his family said: “Oscar has brought unimaginable joy to our family with his smile and his infectious personality. “We wish to take this opportunity once again to thank all of Oscar’s followers the world over for everything they have done for us and for the wonderful kindness and generosity that has been shown. “We also want to thank the teams at the Royal Belfast Hospital for Sick Children and NI Children’s Hospice whose kindness and compassion has been nothing short of amazing. A ceremony, described as a “celebration of Oscar’s life”, will be held in St Bernard’s Church, Glengormley, on Sunday, 11 May. 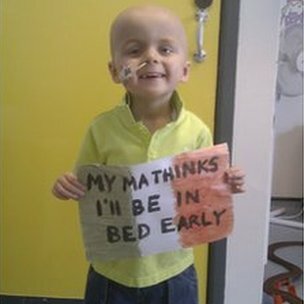 After intensive treatment, ‘Wee Oscar’ was finally given the all clear in April 2013, but it returned in August 2013. After his initial diagnosis, his parents set up the Twitter account so they could update friends and family on Oscar’s condition each time he was in hospital. The Twitter account became a phenomenon in June 2012, after a group of Irish football fans posed for pictures in Dublin airport before heading off to the European football championship with a flag saying “Angela Merkel thinks we’re at work”. Oscar – who had been allowed to stay up late to watch the matches – and his father Stephen, made their own flag saying “My ma thinks I’ll be in bed early” and then tweeted a picture of it. The ‘Merkel lads’, as they became known, were so touched by the picture they decided to auction their flag to raise money for the toddler. In a statement on Friday, Celtic said: “This is absolutely devastating news and our thoughts and prayers are with Oscar’s parents, Stephen and Leona, and his little sister, Izzie, at this desperately sad time. “We can’t even begin to understand the pain of their loss, but I hope that there will be a small measure of consolation in knowing that there was genuine love and affection for Oscar from the Celtic family throughout the world. 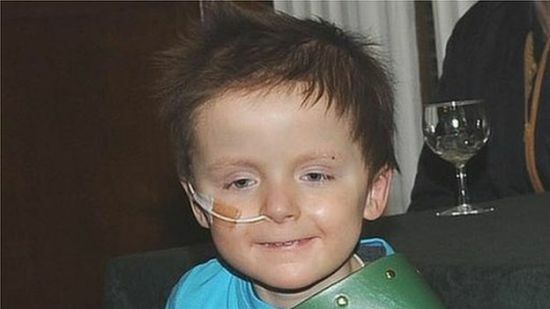 “I’m kind of in shock, because with the wee man, I knew he was very, very sick, but you always expected him to get better because he is such a fighter,” he said.